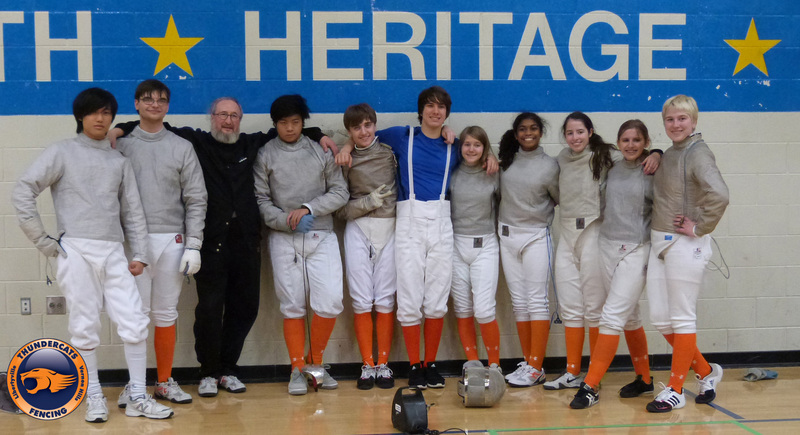 The LHS-VHHS fencing team is off to a strong start this season. In addition to bringing home 10 medals at our first two open tournaments, our Varsity team won two events and came in 2nd in two events at its first Varsity tournament at Brookfield Academy this weekend. The Men’s and Women’s Sabre Teams each finished in 1st place and the Men’s and Women’s Epee Teams each finished in 2nd place. Pictured above (L-R) are Jesse Ou, Byran Weiss, Coach Tsipis, Jack Liang, Brian Lemay, Andrew Bringle, Megan Isberg, Mariam Morgan, Lia Pelech, Anna Schellin, and Skyler Jackim.